My (ad)venture in wine seems to me to be a natural progression of history. As a third generation Napa farmer, I have been influenced all my life by my forebears’ lives in agriculture. They have left, as part of their legacy, their deep and abiding affinity for the land from which came not only their livelihood, but also a life full of purpose. I am hopeful I can transfer that way of life to yet another generation. Given this legacy, one does not continue farming for dispassionate reasons alone—there are easier ways to make a living. And thus, taking the next step and putting one’s name on a bottle of wine does not come lightly. All our wines are produced in small quantities, with the careful attention to farming my forebears would expect. I hope you will try one or more of my wines and let me know if you agree. 100 years of sensitive farming deeply rooted in the Napa Valley. With 100 years of agriculture in Napa, it comes as no surprise that the heart and soul of Gamble Family Vineyards is deeply rooted in the soil. 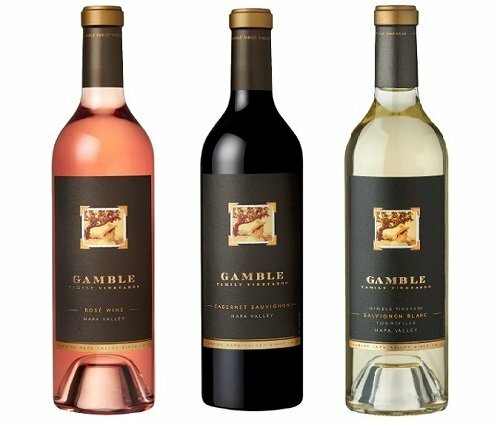 Founded by third-generation farmer Tom Gamble in 2005, Gamble Family Vineyards owns prime estate vineyards in many of Napa’s most respected AVAs—Oakville, Mt. Veeder, Rutherford and Yountville. Winemaker Jim Close follows Gamble Family Vineyards’ mission of producing wines that seamlessly bring together elegance, balance, nuance, with good structure and moderate alcohol, while embracing and highlighting the characteristics Napa Valley terroir imparts on the wines. Tom Gamble follows a holistic approach to farming and winemaking. His goal is to farm in a manner that isn’t detrimental to the community or the planet. His winery and vineyards are certified Napa Green and certified by Fish Friendly Farming. No Replies to "Gamble Family Vineyards Winemaker Dinner October 25, 2017"